Sascha Fernandez, who blogs over at The Smart Little Girl's Guide to Summer, has generously shared with me this post about the greatness of Disney. There's a lot of back-and-forth about the virtues / faults of Disney movies, but Sascha is a confirmed fan. OK. I’m sick to death of the Disney haters out there. I am a fully grown woman who was raised on Disney. For the most part I’m well adjusted, recognize my own potential, never compromised my own values, or questioned by position in the world as a woman, equal and free to succeed or fail like everyone else out there…like men. You know what? You take from Disney movies what you bring in with you. If you are looking to tear them apart and find the “politically” incorrect message, or looking for a way to tear apart the “princess” personality and mythos you are going to find a way to do it no matter what. What you will miss is all the good stuff. And I mean the GOOD stuff. The values, the confidence, the life lessons, all because some of the princesses wanted to get married instead of getting a college degree, making it on their own, and then deciding whether or not marriage or domestic partnership has more pros than cons and whether or not children allow one to continue one’s current lifestyle (trust me, they don’t). You miss the message and you miss the magic. We all need a little magic in our lives. If you don’t have room for it, well, you end up like Gaston. Let’s take a look at a few movies, shall we? Boy is this one attacked left and right and up and down. 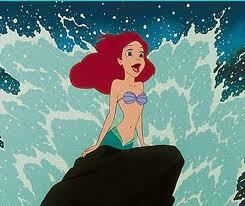 Ariel gives up her (feminist) voice for a man! Oh gosh and glory, let’s go get the cross and crucify her. You know what you are missing? You are missing the plight of an adolescent trying to find herself by breaking away from her father at precisely the correct time, when she’s 16. This is not an “OK” for 16 year olds today to run away and get married, but what it is is the OK to realize you don’t have to like what your parents like. You don’t have to live at home for the rest of your life. You don’t have to be a little mold of your parents. You don’t have to follow in the footsteps of your siblings. You can be YOU and YOU is whatever is important to you. In the end, Triton realizes this. He realizes that his daughter can have her own life and live apart from him…and guess what…she never stops loving him or her sisters and they never stop loving her no matter how she’s changed. And imagine that...in the end she finds her voice. When I was going through a divorce, I was emotionally scarred (and still am to some degree). 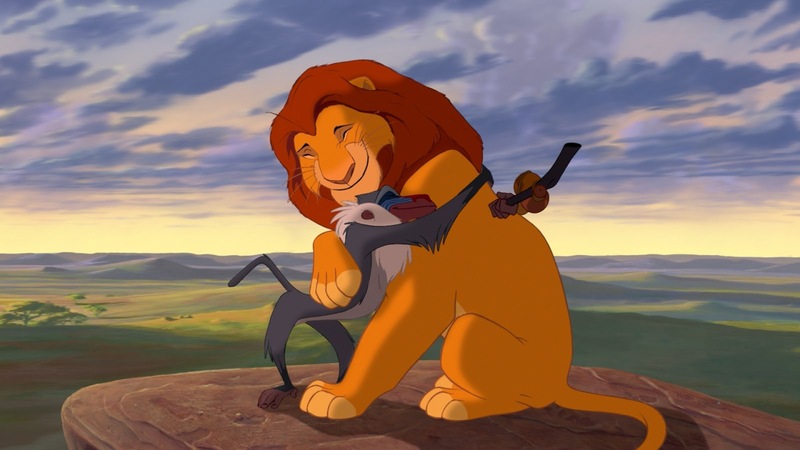 I watched the Lion King with my then six year old daughter. This scene made me weep. It was the entire movie. When things in the past hurt I try to remember this conversation. THAT is what The Lion King is about. Yeah, this one was probably better for older children, around 9 or 10. I won’t argue that. 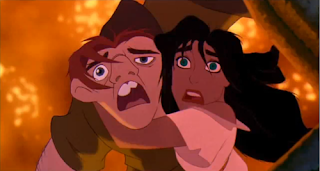 But in and of itself The Hunchback is one of the most important Disney movie your child should ever see. EVER. We all know the story. The deformed hunchback Quasimodo is hidden in the bell tower. 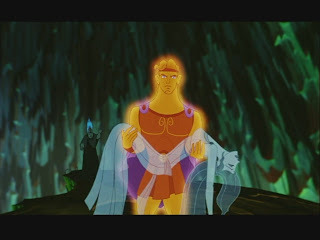 Judge Claude Frollo (and in the book he is Archdeacon of Notre Dame…a bit much even for Disney) persecutes the Gypsys, yet lusts after the Gypsy Esmerelda, who is the only person to show Quasimodo any kindness. And on. Does this sound familiar? It should. Nazi Germany and the persecution of the Jews. The song *God Help the Outcasts* is probably the finest Disney song ever written and therein lay the entirety of the movie. One should not ask for help for oneself. One should ask for help for others. And if you go the Christian route (which is rather impossible to ignore since the story takes place in a church), God sees everything you do. Remember that. And probably the most important lesson to take away from this story is the question pondered by the King of the Gypsys Clopin when he asks in the opening song, “Who is the monster and who is the man?” That’s pretty much all that’s left to be said. Femme fatales? Sure. Princesses? Sure. Did they marry their princes? Of course they did. Can I ask you a question? What exactly is the problem you have with romance? These are stories, they are meant to entertain, and they are meant to be romantic. 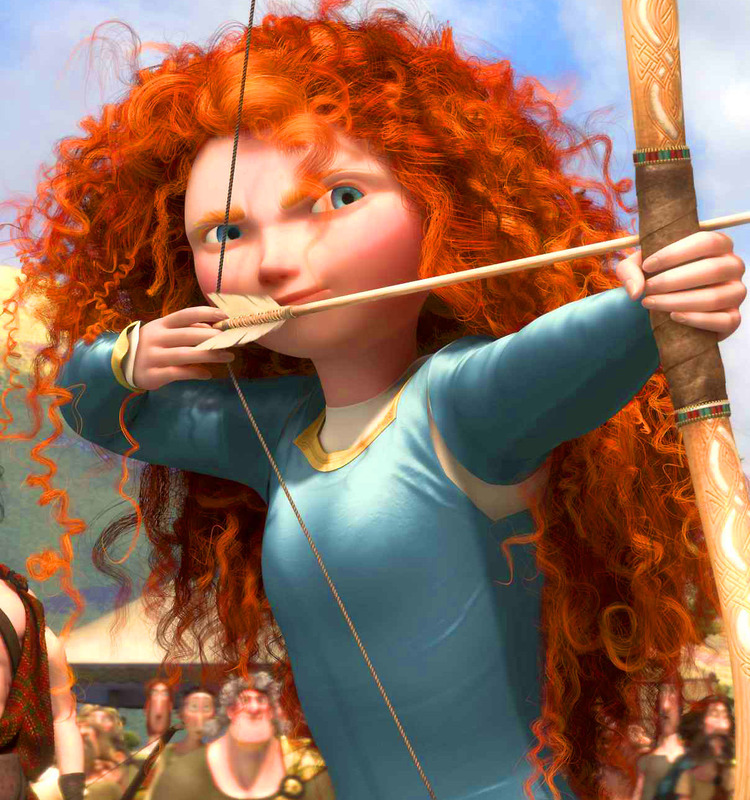 There is a great deal of hypocrisy going around when it comes to damning Disney princesses. We hate them because they seem vapid and unintelligent, yet we have no problem reading our Harlequin romance novels or watching re-runs of The Love Boat. If you are pointing out to your five year old child that Snow White should be getting a college degree and playing the field a bit before she decides to marry, that’s your own insecurities surfacing. Did you marry too young? Did you fail to do things you wish you had because you got swept off your feet? Let little girls be little girls. Let them have a little fantasy. All too soon they will realize that the world can be a pretty rotten place for women. If you raise a strong girl for her ENTIRE childhood (not just relying on that 90 minute span when she’s watching Prince Charming slipping a shoe on a girl he met the night before), then you aren’t doing your job as a parent. Every day should be the life lessons. Going to school, getting good grades, being strong, being a force. If a 90 minute movie destroys all the work you’ve put in, you didn't do very well, did you? Cinderella is about the dream for a better life. And guess what, every one of us dreams of a better life, and s ometimes we need a little help getting that life. It’s no shame asking for a bibbity bobbity boo when things get really tough or seem hopeless even when you are working as hard as you can (ask any college graduate trying to get a job in this economy…I know from experience). The princess shall indeed grow in grace and beauty, beloved by all who know her. 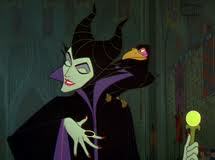 But... before the sun sets on her 16th birthday, she shall prick her finger, on the spindle of a spinning wheel - AND DIE! 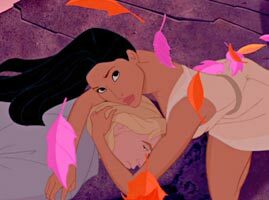 Sleeping Beauty is about love. Not the love between the Aurora and Prince Phillip which is admittedly rather surface, but the love of parents (both the king and queen and her three godmothers) to protect their child no matter what the cost. Would you hide your daughter away for 16 years to save her life? Would you sacrifice your time with her to save her life? I would. Why, Grumpy, you do care. 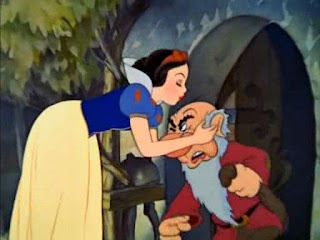 Snow White is about kindness. Plain and simple and nothing else. Be kind to animals. Be kind to people. Be kind to everyone. Kindness matters and kindness makes you a better person, a person worthy of kindness in return. So let’s take a step forward from the princesses and look at Mulan. I recognize there are some cultural problems with Mulan and I am not knowledgeable enough to discuss them. Most of what I hear from Disney haters is that Shang comes to Mulan's house to meet thereal Mulan (yeah, he kind of likes her as a girl now), grandmother asks where she can sign up for the next war because Shang's gorgeous. Is that all you got out of this movie? Really? Mulan isn’t about a woman who dresses as a man so that she can fight in a war to save her father's honor, dignity, and life? Mulan is about making sacrifices for your loved ones and again, finding out what kind of strength you have inside, and not just physical strength, but mental strength, emotional strength, and the ability to be a leader. In fact, Mulan is the antithesis of the princesses (in a good way...a little contrast is a good thing) because marriage becomes the furthest thing from Mulan’s mind. She realizes she’ll never be the “perfect” bride that society says she should be. She realizes that there is something she should be, but doesn’t know what it is. Throughout the movie we follow Mulan on her own journey as she recognizes some things within herself she didn't know existed. When Mulan cuts off her hair (her hair being her crown. Without it no marriage and no going back), and rides off to war in her father’s sted she realizes her life will never be the same. If she returns or is found out she'll be put to death. 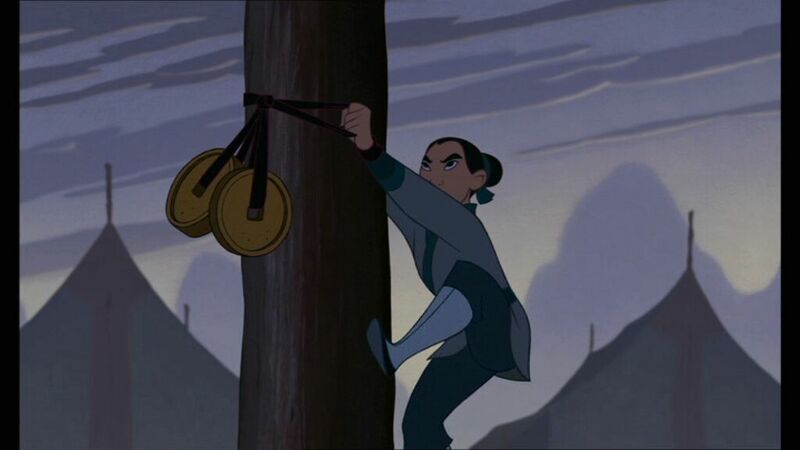 When Mulan is told to go home by Shang for the failure to live up to soldier standards she instead screws up her nerve and gets the arrow. Even though her life could be in jeopardy (by Shan-Yu and the laws of her country) she goes to the Emperor to try and save his life (and presents herself as a leader because her friends listen and follow her), Finally, she takes the Emperor’s crest and Shan-Yu’s sword to her father to honor him and her family and he casts them aside to hold her. Mulan realizes that she is enough. She was always enough. Yup. Everyone hated this one because it was historically inaccurate. OF COURSE IT WAS! Just about every movie you have ever seen that was based on any kind of historical event is inaccurate (I do not include stories like Schindler’s List, Saving Private Ryan, etc…). Again, you are reading into the story what you should NOT be reading into it. People are so hung up on the mistakes that, well, you can’t see the forest for the trees. This is a story about racial differences and the ability to either war with one another or make peace. It is about two people being olive branches. It takes two people to see that they have similarities (the fact that they are both human is a good start), to bring peace. It’s not always easy and the peace process doesn’t often come, but the potential is there. The potential for one person to lay her head upon the head of one to be executed to prevent war exists within us all. Oh, and of course taking care of the earth in this time of global warming shouldn’t be ignored either. Yikes. If I hear “Stockholm Syndrome” one more time I’ll be sick. How many 6 year olds know what Stockholm Syndrome is unless you think it’s wise to explain a kidnap victim developing feelings for her captor to them. It seems as though your explanation might do a bit more damage than the story of a woman who falls in love with someone who has the reputation of being a monster. Belle is the first “intelligent” woman (in today’s light) presented to us and we STILL rip her apart. She isn’t interested in marrying the “prince” because there is no substance to him. The Beast is being punished for, well, pretty much being like Gaston. He has to learn to love someone for themselves and not what they look like or what they can do for him (such as being arm candy in Gaston’s opinion). Do the household staff want Beast to fall in love and have Belle return his love? Yes, of course. They want to be returned to human, after all. But is that it? I think characters like Mrs. Potts know what is in Beast’s heart and even though her desires are self-serving, they are also deeply rooted in the desire to see Beast become the person she knows he can be. NOTE: I'm updating my section on Beauty and the Beast because someone pointed out that there was a study that says girls feel it was OK for men to abuse women because Beast abused Belle. That warrants a comment. And a great big one at that. You read into it whatever you want, but I can tell you that neither of my daughters ever believed it was OK to mistreat women * because* of Beast. One can find studies to validate any and all positions which is why they are pretty much all bunk. I found a study debunking your study. And then I found a study debunking the study I found debunking your study...etc. Think about these types of studies for a moment: just how much of those girls were led into those opinions by the specific questions asked? "What do you think of Beast?" is a heck of a lot different than, "Do you think Beast should be nicer to Belle?" And how old were they? 7 or 13? How about the counter studies on the positive role models in Disney characters (Beast being able to change and learn to love). Finding "studies" that validate the position you already have is sloppy science. Having an opinion, looking at all the reports and THEN making a judgement is not sloppy. I judge on experience and I've never met any child who saw Beast as an abusive boyfriend. Cripes! Every single thing has to have a devious meaning. And if your child feels it is OK to be abusive to women because of a Disney movie then as a parent you get a big fat whopping F.
And let's revisit the movie now... Last time I watched Belle put him the heck in his place when she refused to dine with him. And she LEFT. 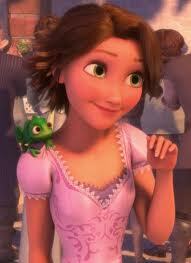 The only reason she came back was because Beast was injured trying to save her. She might have been frightened at first and then she took control and refused to be treated poorly...hence Beast's change. It's all in the expectations you take in with you. I'll be shootin' for my own hand! Let’s put it plainly. 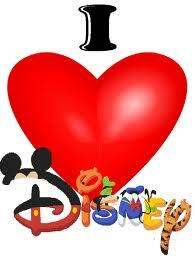 Disney is about love. Disney is about courage. Disney is about what is inside. Disney is about doing what is right. Disney is about being who you are meant to be. Why is this bad? Why the need to pick it apart. Watch the movie. Feel the magic. 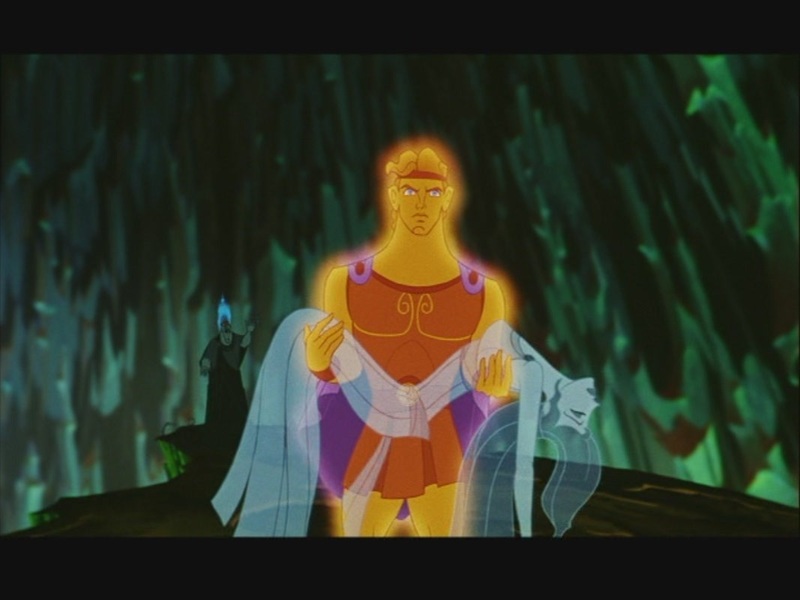 Let Disney allow you to reflect on your own life. Could you be a little more Snow White to the guy who just cut you off on the highway? Yeah, you could. Could you be a bit more Simba when you reflect on pain in your life. Yeah, you could. Could you be a bit more Esmeralda to the bum on the street that might need your help? Yeah, you should. 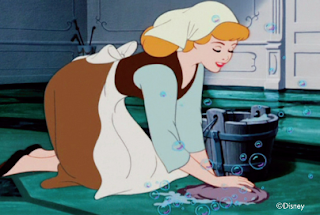 These are the lessons Disney will teach your children if you let it. You like making deals. Take me in Meg's place. Sascha, brilliantly executed. These are the things I have been screaming into the faces of the sanctimommies I know who damn me eternally for letting my children watch as many Disney movies as they want, whenever they want, and allowing their children to play princesses along with mine. It's perfectly okay for a young child (boy or girl, my son loves to be Snow White,) to find joy in these characters, because in my experience, they are fully aware of the values behind the stories, and fully ignorant of the flaws as others perceive them.